Ida Bagus Gede Wiraga is a jewelry designer, writer and illustrator based in Bali, Indonesia. He was born on 3 December, 1985 in Bali. As you can see from his name, he is a native Balinese, the name ‘Gede’ means the first child. 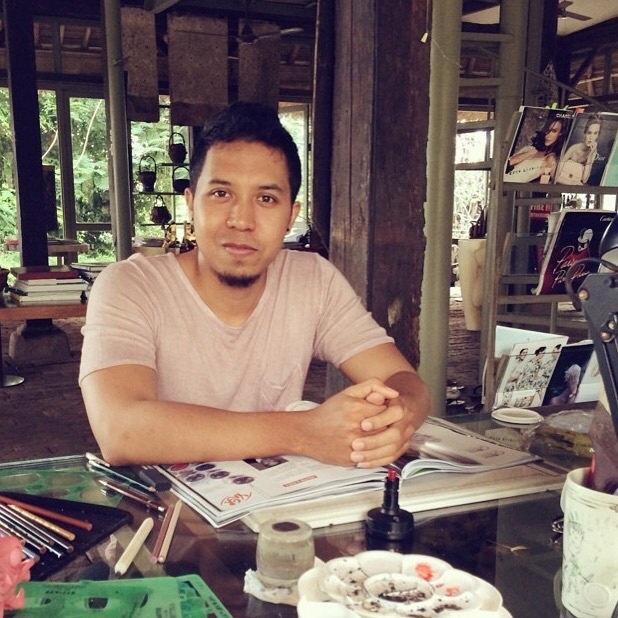 Other than working as a designer for John Hardy, an international jewelry brand based in Bali, He also designs book cover arts and made illustrations for some Indonesian writers. IBG Wiraga published two Bali-themed coloring books in 2015 and 2016, the titles are Bali and Nirvana. Halo Bli IBG Wiraga, mampir kesini dan suka sekali dengan karyanya. Duh, merinding. Salam kenal. This is hella awesome. You’ve got your talent for art well-sharpened. Totally into your art!